This entry was posted on May 22, 2013, 3:16 am and is filed under Cars, Old Stuff. You can follow any responses to this entry through RSS 2.0. You can leave a response, or trackback from your own site. Here in Lansing, MI (where Oldsmobiles came from) they are still fairly common (admittedly less so every year). When I was in college I had a 1993 Olds Ninety-Eight Regency. 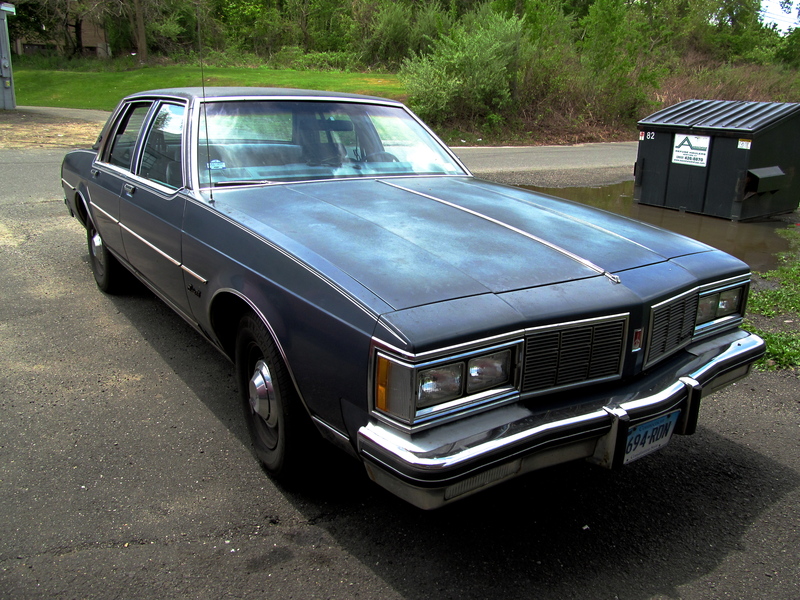 It was a four door sedan that was bigger than my dorm room and older than I was. It was named ‘Old Hoss’. I miss that car. It broke all the time, but spare parts were plentiful at any local junkyard. They just don’t make big sedans anymore – the ones that they do have do not meet my defnition of ‘full size’. We have certainly traded comfort and ambiance for progress.